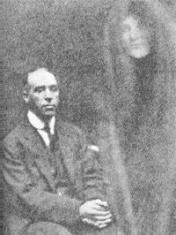 There is a lot of unexplained phenomenon in the world, from ghostly entities to extraterrestrials and ufo sightings. Here you can explore the strange and unusual realm of cryptoid creatures, life after death, paranormal activity and abilities, mysterious locations and places around the globe, para psychology and odd human abilities, and other weird and bizarre things that might be happening behind your closet door. A unique blog with information and articles related to astral projection, including the energy bodies, communicating with the dead, evil astral beings, techniques for out of body and more. A unique site with paranormal topics like multi-dimensionality, energy gates and trans portals, out of body experiences, remote viewing, esp, ascension and dreams. The earth is being visited by many advanced extraterrestrial races with diverse ethics, motives and agendas. The dynamics of the interactions between ET races and humanity is explored here. Today's crop-circle designs are more complex than ever, with some featuring up to 2000 different shapes. Although, exactly how crop circles are created remains an open question. Over the years, many individuals have related wisdom shared with them during a contact experience with the higher and benevolent extraterrestrials (ETs). As a wholly unique plane of existence, the astral plane is surrounded by mystery and often fear. For centuries, people have sought out travel on the astral plane in search of answers, healing, and spiritual enlightenment. An amazing archeological discovery found undergound. Although 12,000 year old, the artifacts and carvings were made with advanced tools. This is the extract from Joshua David Stone's Book - The Complete Ascension Manual. Accelerating Your Path and Building Your Light Quotient. A compendium of information on the Black Triangles ufo phenomenon, which includes data, links, photos, videos, and independant research. This ancient coin may either depict a ufo from the 1960's, the 'Flying Shield' of Jupiter, or it is a representation of Ezekiel's Wheel from the bible, which is also considered a ufo by many. Evidence shows that there was one source of DNA for all life on Earth. In whose image was The Adam – the prototype of modern humans, Homo sapiens – created? The following is a list of sounds, where the source of the sound remains unknown. From bizarre bloops and julias to weird whistles and the wow! signal.